REPCOOL is a machine equivalent for human blood, and it aims to do exactly what blood does for the human brain. Machine learning is the brain, VPUs (Vision Processing Units) are the eyes, what more does a machine need to be human? The answer is blood. If machines need to be as intelligent as humans, they need to perform as efficiently. They can't heat up easily, and they must be able to regulate the temperature efficiently when they do. That's exactly what IBM Research, along with partners, have been working on, since 2013. "The general concept has been something I first began focusing on in 2006 when the Stern Reporter was released. This triggered me to pivot my research towards inventing incredibly powerful computers, which are densely packed and therefore very energy efficient using 3D chip stacks," said Dr. Bruno Michel from IBM Research. The actual project is called REPCOOL. It stands for Redox flow electrochemistry for power delivery and cooling, but it's popularly known as Electronic Blood. "This groundbreaking approach is modeled after the structure and power supply of the brain, where blood capillaries serve both to cool it and to supply it with energy," said Michel. It stems from a very real need in modern chips, the need for heat regulation and power. More powerful a computer, more is the heat that it generates, and more room it needs. 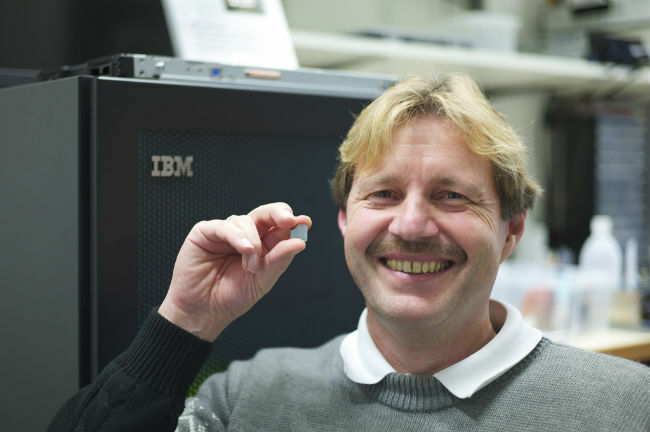 According to Michel, the researchers at IBM believe that they can drastically reduce the size of such computers. "Compared to today's top computers, however, the human brain is roughly 10,000 times denser and 10,000 times more energy-efficient. The research team believes that their approach could reduce the size of a computer with a performance of 1 petaflop/s from the dimensions of a school classroom to that of an average PC, or in other words to a volume of about 10 liters," Michel explained. Computer chips get more powerful as more transistors are crammed into them. But, manufacturers have recently found it more difficult to cram more transistors on a single silicon wafer, leading to the end of Moore's Law. However, a new technology that has showed promise, is that of 3D Chips. This literally brings vertically stacked chips, with pieces of memory and logic, on top of each other. This, in turn, increases the efficiency of the chips in terms of speed, but also increases heat and power concerns. Initial examples of such chips can be found in Intel and Micron's 3DXPoint technology. Such chips generate a lot of heat, even though they're more powerful. Electronic Blood can solve this issue. "To cool 3D chips efficiently, IBM scientists have already developed fluid-cooled test systems with capillary cooling structures that allow the fluid to flow between the individual chip layers, a process called "interlayer cooling" that achieves a cooling capacity of 3 kW/cm3," said Dr. Michel. Michel further explained that the IBM Research team has taken this approach a step further now, by developing an integrated cooling and energy distribution system. This is based on an electrochemical flow battery to address the power supply challenge in a sustainable way. The researchers want to replace wires with electronic blood, flowing through tiny pipes (similar to blood capillaries). 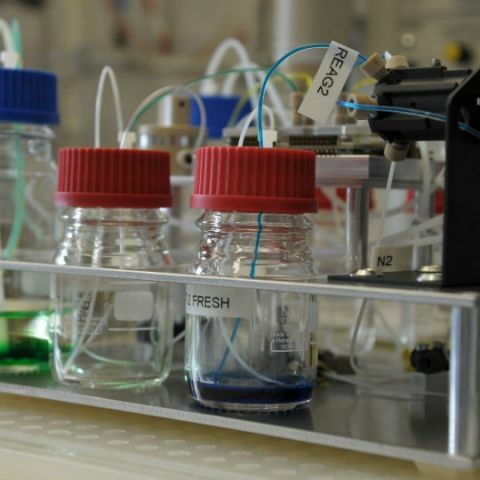 "Unlike conventional batteries, which store energy in solid electrode materials, a flow battery transports energy simply by circulating the redox chemicals. Thus the electrolytes are charged by an electrochemical cell called an electrolyzer and discharged via numerous distributed receiver electrodes on a single layer of a 3D chip stack." It sounds quite unbelievable, but large electrochemical flow batteries do exist already, and are used for grid-scale electricity storage from renewable sources. Electronic Blood is like miniaturised, improved version of the existing technology, said Michel. 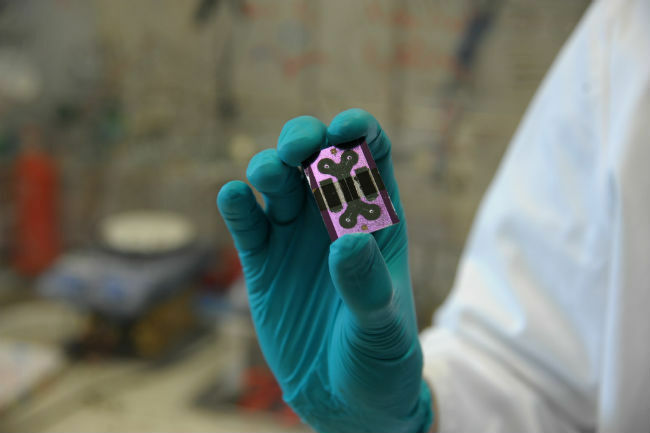 The project, in essence, is a Redox Flow battery that has existed for years, but IBM Research is taking it to a level that's never been done before. The liquid used is Vanadium. Until now, Moore's Law had ensured that the performance of computer chips doubled every 18 months. In doing so, power consumption also went up. "The downside is that their power consumption has also grown at the same pace. This trend of ever-increasing computer performance is expected to be pushed to the zeta scale in the next few decades. Such systems would be able to perform 1021 — a 1 followed by 21 zeros — computational operations per second, which is roughly 30,000 times more than (what) today's best computer systems can do," said Michel. With the obsolescence of Moore's Law, however, it's more difficult to add transistors to a Silicon wafer and improve performance. Hence, companies are looking for newer ways to do this, with 3D chip stacking being one of the ways to do so. IBM's research arm is also conducting research on quantum computing, neuromorphic computing and nanotechnology, which are important for addressing the end of Moore's Law. "The great strength of the "electronic blood" is that it is the final point of a new density roadmap that uses dense mobile and wearable packaging to get more compact systems and combines this with our research effort on 3D packaging to allow higher densification factors exceeding 1,000,000x," Michel said. "The roadmap starts immediately with the first proof points being the 1000x denser microserver. It builds on existing CMOS technology and is fully backward or legacy compatible in the software stack - capabilities that quantum computing and neuromorphic computing do not have," he added. According to Michel, the density and electronic blood roadmap isn't just important, but replaces the obsolete Moore's Law with a new "law" based on volumetric densification, instead of areal densification. 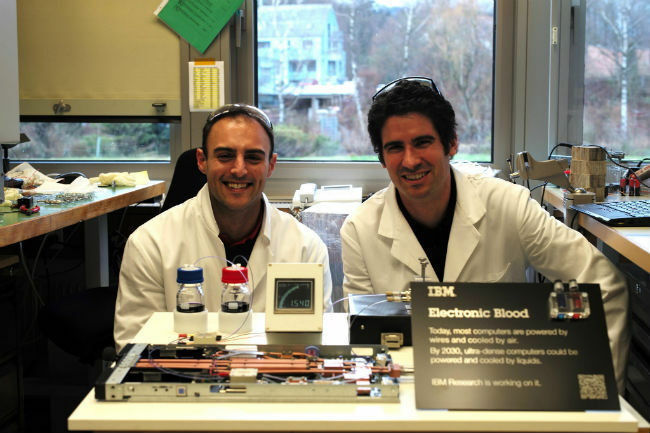 IBM Research sees the first applications of Electronic Blood in 2030, which is just 14 years away. Given the recent advancements in machine learning and other computing techniques, progress seems on track. Advanced computing algorithms, like those used in machine learning, do require quite a bit of power, especially when used on larger scales, and that, as mentioned above, increases power and heat dissipation requirements. "The research the team develops within the REPCOOL project will scale from supercomputers to cloud computers and wearable devices, but its too early to make any predictions at this point," said Michel. Electronic Blood is one of the many developments in computing that have been brought forth in the past years. Power delivery and heat dissipation are two of the central problems faced by hardware makers today, and IBM Research could potentially be eliminating both.